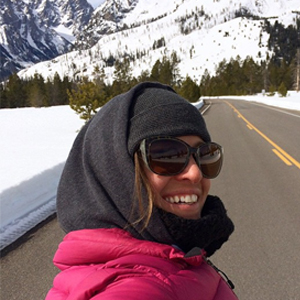 Iris Lazzareschi or ‘Lazz’ was born and raised in North Lake Tahoe, CA, where she naturally took to the mountains and outdoors. She grew up skiing then started snowboarding at age 12. When there wasn’t fresh snow, Iris could be found making laps in the park where she eventually progressed to competing professionally in rail jams and slope style events. As Iris tired on the park competition scene, she began riding the entire mountain, in every condition, and competing in big-mountain events. After a couple years on the Freeride World Tour (FWT), tough snow conditions in California forced Iris to go on the hunt for new mountains – looking for good snow and good backcountry access – she landed in the Jackson Hole area. 8 years, I began in the winter of 2010. More big mission with girlfriends! Powanoia movie coming out. More women's splitboarding camps, including a new Intro to Split with Alpenglow Expeditions. Who has most influenced your backcountry riding? The groms! The young shredders out there pushing it are super inspiring. It's simple and it works, day in day out for people that are out there more than just a few days a year.